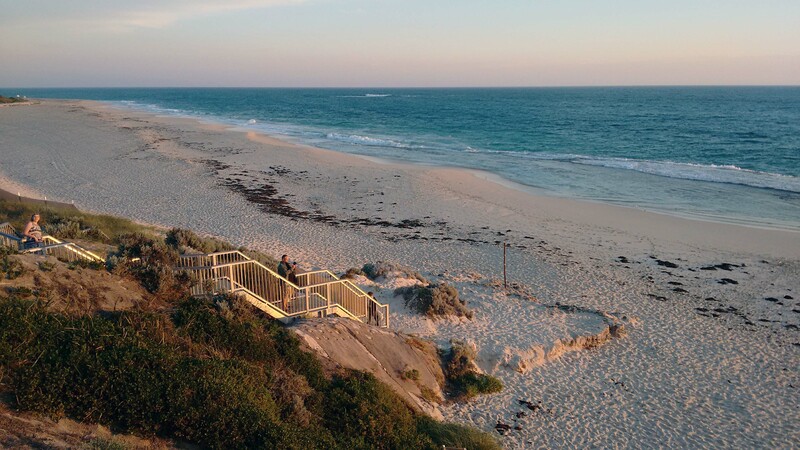 We’ve spent the last week in Yanchep, Western Australia which is about an hour north of Perth. 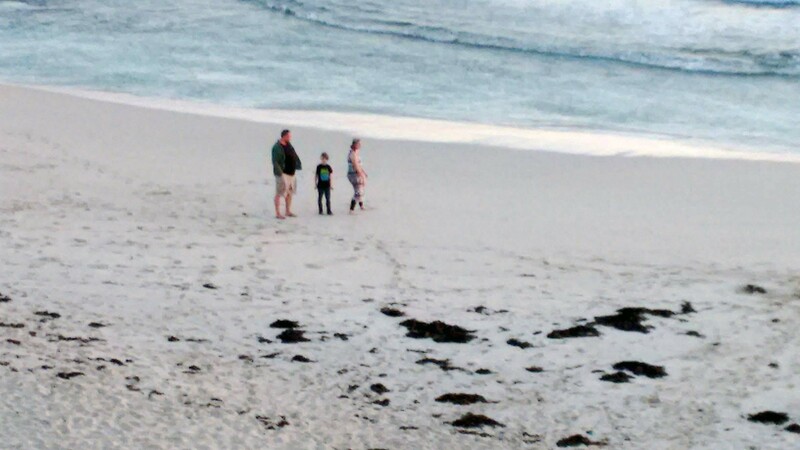 We’re staying in a small apartment that has Indian Ocean views, and is a 10-15 minute walk from the beach. I can’t say enough about how unexpectedly beautiful this area is. The sunsets in particular are stunning. The plant, wildlife and general geography here is so different from anything that we have encountered before. We are really enjoying absorbing all of the sights, and learning a lot in the process. 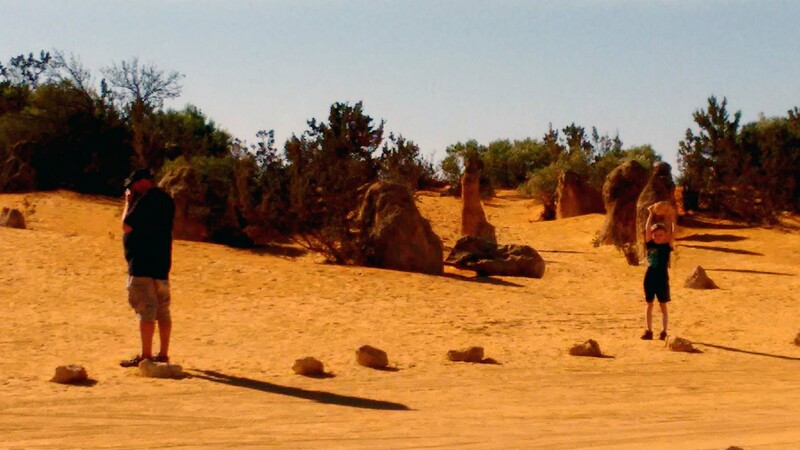 We purchased a holiday pass for Western Australia’s National Parks while we are here, which allows us unlimited access to the parks for a month. 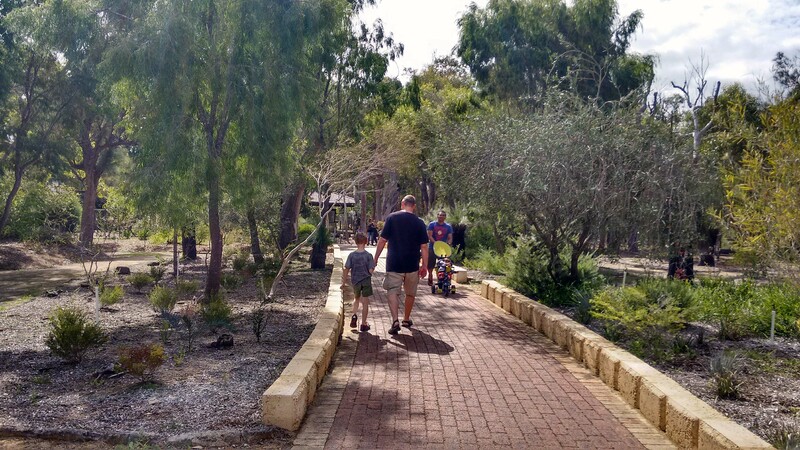 Yanchep National Park is the closest park to where we are staying, and we have been visiting it often and taking advantage of the fabulous picnic facilities throughout the park. While we picnicked, there were always birds nearby. 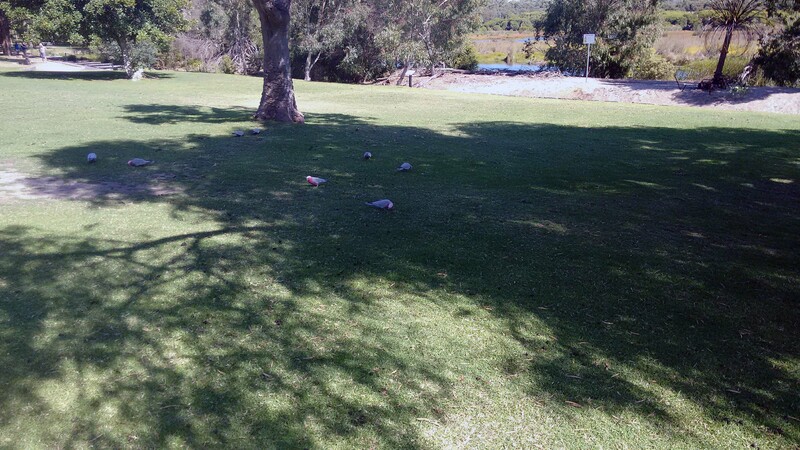 These pretty birds are called Galah and are quite a common site in and out of the park. The park has a Koala boardwalk, which allowed us to walk among Eucalyptus trees and other feeding stations where Koala are either hanging out sleeping, or munching away on leaves. When they are eating… they seem to be quite focused on their eating… Apparently, Koala are not native to Western Australia anymore, so the bears that are in the boardwalk area are not from this part of Australia. 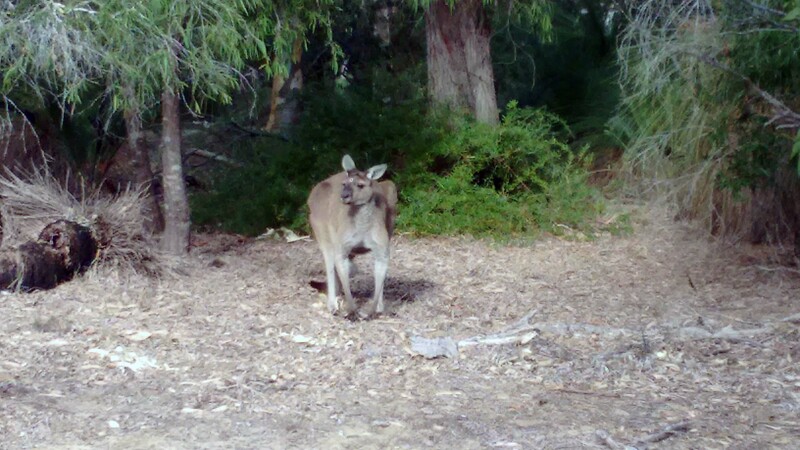 There are many kangaroo within in the park, but they tend to stay hidden for the most part during the hot part of the day. As evening approaches, they start to come out into the open. We managed to catch a couple of them with our cameras as we were leaving the park yesterday. 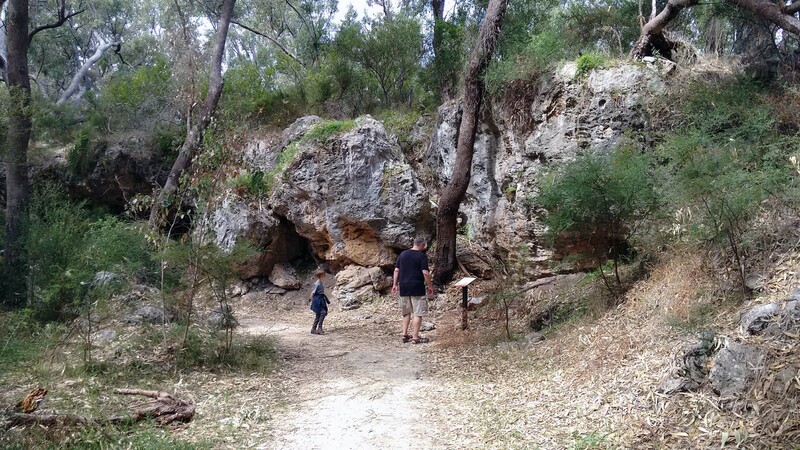 Within Yanchep National Park, there is a large, interconnected network of limestone caves that are part of the local aquifer. Because of the fragile nature of the caves (and the possibility of collapse), as you go through the park, most of the caves are just for looking at, from a distance. 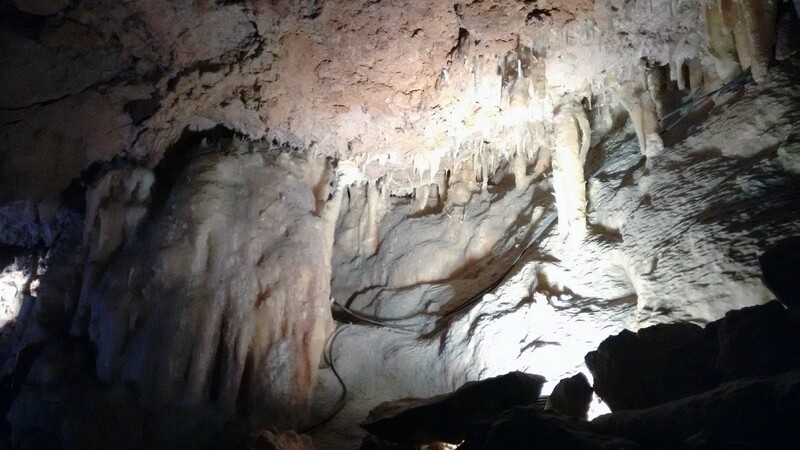 It is possible to tour the Crystal Cave in the park, and see what can happen underground with water movement over time. Straws – thin hollow formations that grow down from the ceiling. Stalactites – formations created on the ceiling as water drips down. 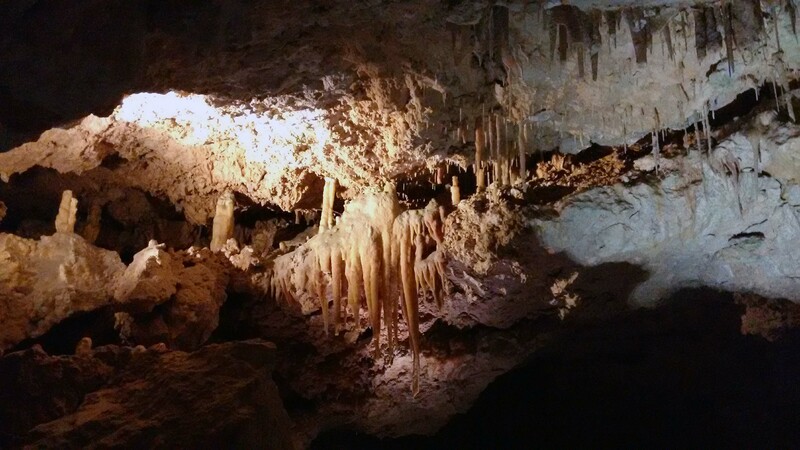 Stalagmites – formation created on the ground as water splashes onto it. Columns – formations that extend between the roof and floor and can be created from either stalactites and/or stalagmites. 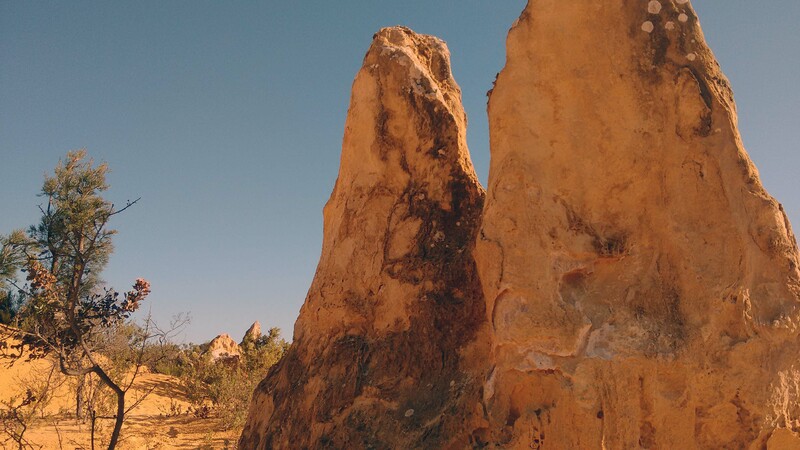 An hour and 45 minutes north of Yanchep, is the Naumburg National Park. 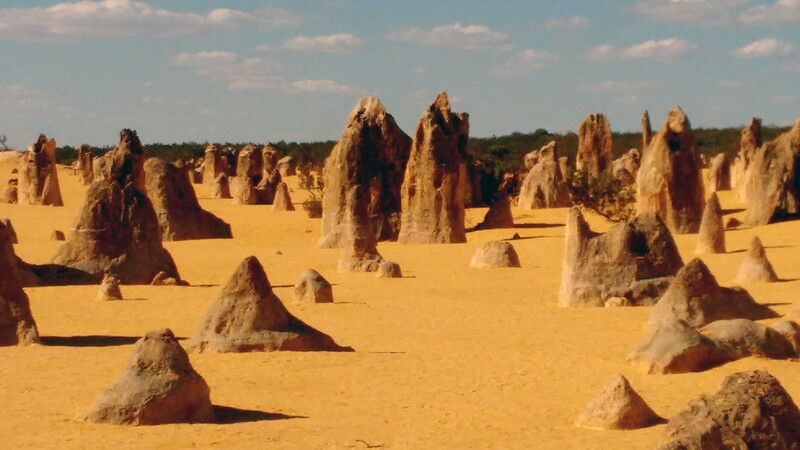 Naumburg National Park is home to the Pinacles Desert, where thousands of spiky limestone formations dot the landscape. There are a number of theories about how these spikes and spires were formed, but no one is 100% certain about how they came into being. 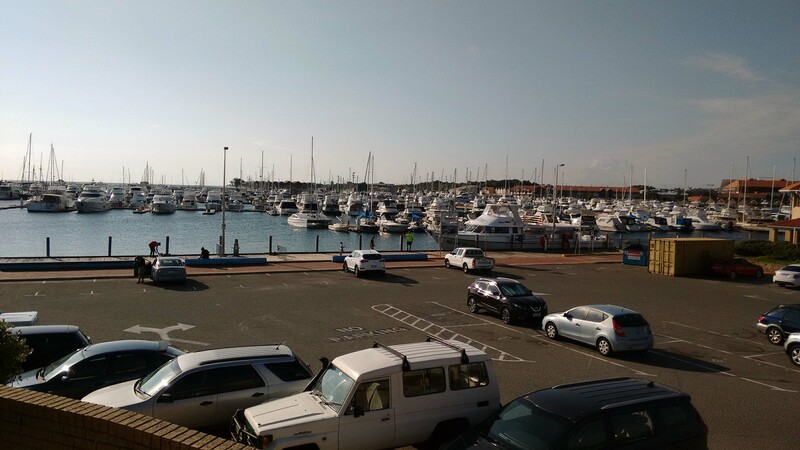 About 45 minutes south of where we are staying is a place called Hillary’s Boat Harbour, which is home to the Aquarium of Western Australia (AQWA). The coastline of Western Australia is incredibly diverse, so AQWA is a fairly large facility. 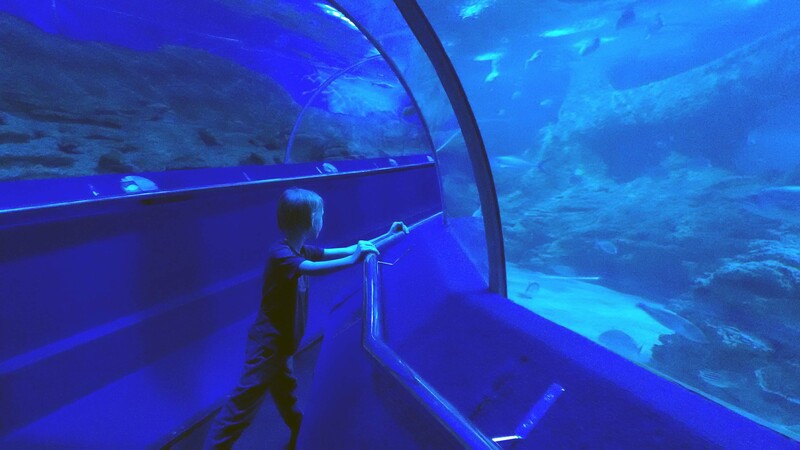 AQWA walks through each of the different areas and related plant and sea life. 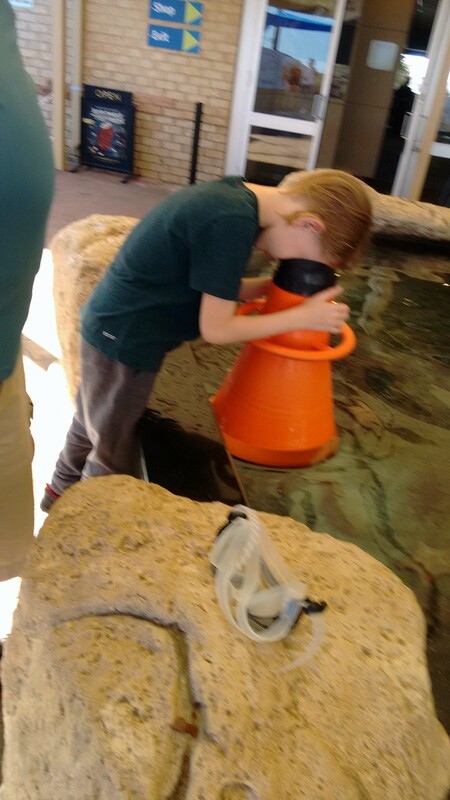 The aquarium has a discovery centre, which allows visitors to use special magnifying goggles to see the marine life within the pool. 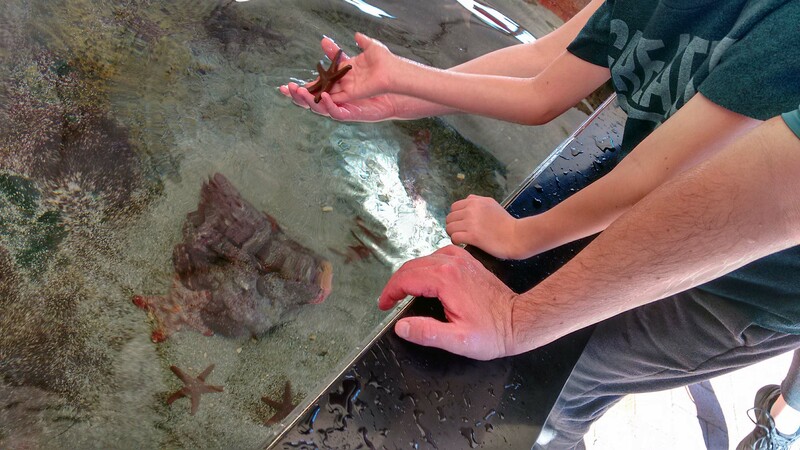 You can even touch the starfish and (small) sharks and fish within the pool. 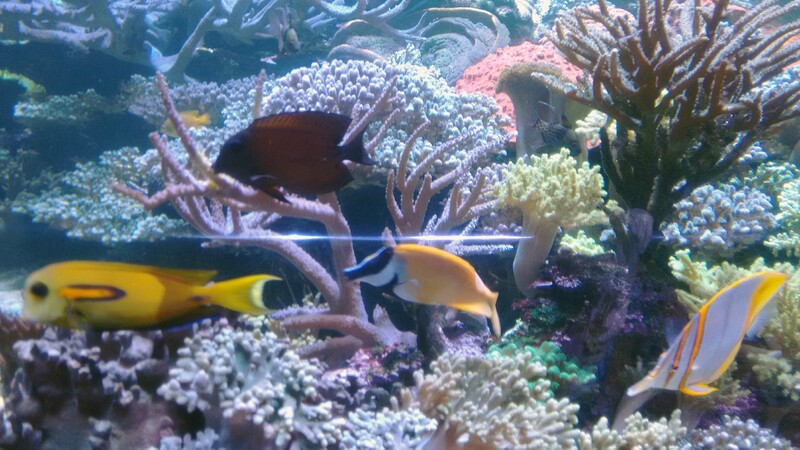 My favourte part of AQWA though, was the underwater tunnel, that has a motorized conveyor belt to move people through it. 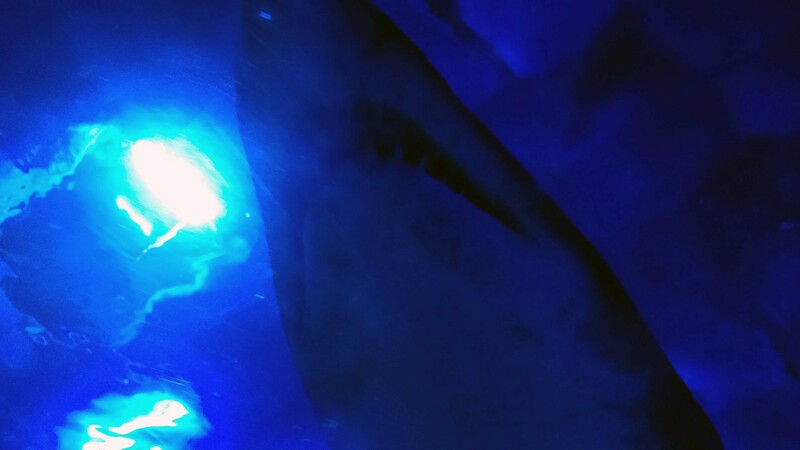 I completely enjoyed being under sharks and rays, and not needing to worry about them touching me (or eating my children). Yanchep Lagoon is a 15 minute walk from the apartment we are staying in, and we have made our way down there almost every day. Marcus has memories of being in Majorca (Spain) when he was Artie’s age, and spending hours snorkeling and exploring the water there. It has been a goal of ours on this trip, to be able to provide that kind of an experience for Artie and Morgan. 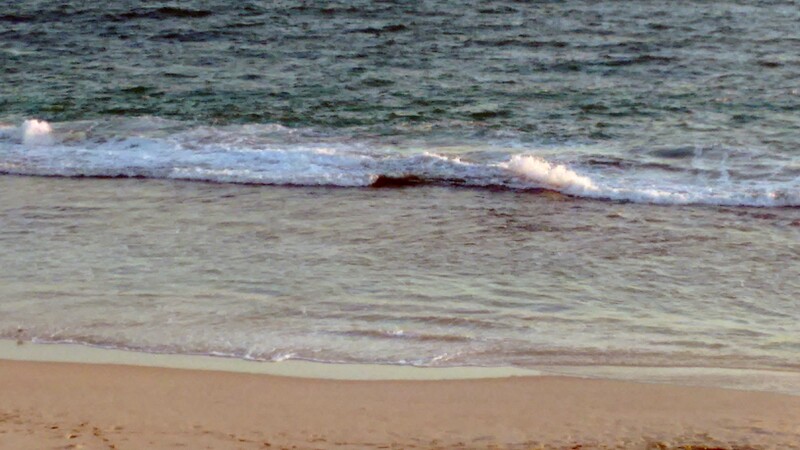 Unfortunately though, I keep taking us to beautiful beach locations, at the wrong season for snorkeling… The water is too rough right now at Yanchep Lagoon to see much of anything. 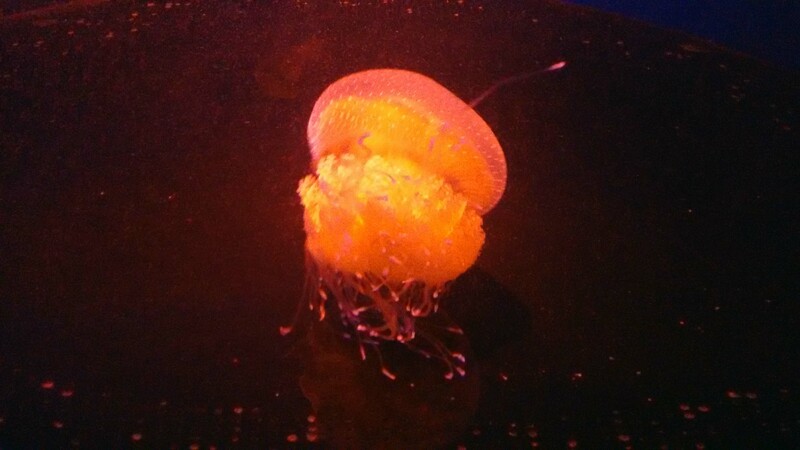 It was so enthrawling . The time you take to share the family experiences is breath taking and greatly appreciated so much . Looks so beautiful! Being that close to​ the beach would be amazing. Are you able see different constellations that can’t be seen in North America where you are now? I’m not an astronomer or anything, but I do seem fixated on yoy traveling so far that even the stars are different.